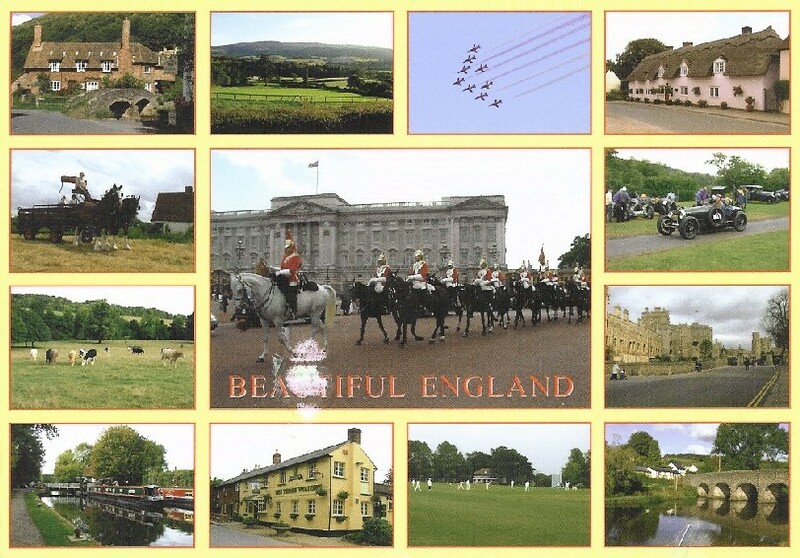 This is a postcard with the legend "Beautiful England", and on the address side, the caption, "Her Majesty's Life Guards pass Buckingham Palace, London. With views of our green and pleasant land." Most people will see it this way, but there is something a little out of place. What's wrong with this picture? Well, if you think about it, the fighter jets are not representative of a green and pleasant land. They manifest violence and death -- yet we are so conditioned by our political cultures that we can hardly see this. We think those machines of destruction (we're taught they are for our defense) flying in beautiful formation fit right in. But do they really? I don't think so, and the misfit isn't the color.